8:07pm: The Associated Press reports that Perez’s contract has a $7.5MM option for a second season that comes with a $500K buyout, bringing his actual guarantee to $4MM. Furthermore, MLBTR has learned that Perez will earn an additional $100K for reaching each of 135, 145, 155, 165 and 175 innings pitched. His option value would rise to $8MM if he reaches 170 innings and to $8.5MM upon reaching 180 innings. Jan. 30, 5:34pm: The Twins have announced the signing. Jan. 19, 5:04pm: Perez’s deal is worth approximately $3.5MM, Jon Heyman of MLB Network tweets. 3:01pm: Per The Athletic’s Ken Rosenthal, the Twins have agreed to a one-year deal with free agent lefty Martin Perez. The deal reportedly includes a club option for 2020. 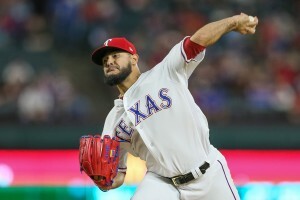 Perez, 27, appeared in parts of seven seasons with the Rangers, posting a career 4.63 ERA/4.44 FIP/4.51 xFIP in 761 1/3 IP. A once-prized farmhand under the guiding hand of former Rangers assistant GM (and current Twins GM) Thad Levine, Perez dealt with an assortment of injuries during his tenure with the club, and never quite fulfilled the tantalizing bat-missing potential he displayed in the minors. Perez’s 5.46 K/9 ranks as one of the league’s lowest during that span, and it isn’t much offset by a career 3.19 BB/9, which swelled to 3.80 in 2018. Perez, though, has long hung his hat on his knack for inducing the ground ball. Indeed, his 50.9% career grounder rate places 12th among all starters with at least 700 IP from 2012-18, aided in large part by a heavy sinker that hasn’t much slowed down despite recent-season struggles. His worm-burning tendencies, too, have helped him keep the ball in play – a 0.96 career HR/9 (even with last season’s 1.69 homer-per-nine anomaly) ranks, when adjusting for the homer-happy confines of Arlington’s Globe Life Park, as one of the league’s best of the decade, and should play very well within a park around which the club has a tailored a lineup rife with right-handed power. 2018 was an awful one for Perez, as the lefty posted career worsts in walk rate, HR/9, ERA (6.22) and FIP (5.72). He was demoted to the bullpen in late summer, where he still struggled with command, eventually making his $7.5MM option a foregone rejection. Both Steamer and ZiPS though, remain mostly on board, with the former projecting a 4.48 FIP and the latter a 4.51, each of which rated around league-average in the decidedly hitter-friendly environs of Texas. Perez will join a rotation that includes Jose Berrios, Kyle Gibson, Jake Odorizzi, and the rehabbing Michael Pineda, and figures to have inside track for the rotation’s fifth and final spot at current. Lefties Stephen Gonsalves and Adalberto Mejia will contend, and the club could also look to Zack Littell, Kohl Stewart, or Fernando Romero, should injuries surface. Throwing in the towel I guess. Not even worth a roster spot. Huh? He’s depth with some upside. Yeah, … and THAT came from Motel 6. 2-7 with an ERA over 6 last year. Guess we’re giving a guy a chance that once had success. But what we really need is a closer. Yeah Parker will get the majority of closing opportunity. Thank you for taking him off our hands. I was afraid there for a minute that the Rangers were gonna sign him again. 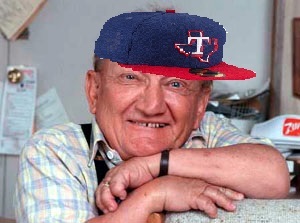 Im sure hes a real laugh and never cheats on his taxes, but im tired of him helping with my depression as a Rangers fan. Don’t worry you’ll have plenty of depression free on Martin Perez. No I’m sure he’ll regain form and become a Cy Young canidate now that hes a Twin. I really hope so to be honest too. The kid dont quit. He def deserves a better rain. ugh, middling production. we already have enough surplus of that. wonder who we lose off the 40 for him? Well getting this guy pretty much guarantees a WS. And these signings are supposed to get the fans excited and filled with hope!!! This team is gonna stink worse than 6 different kinds of dog Shiite! Twins won the World Series with one lefty in the bullpen. Dan Schatzaader. Yeah…Almost 30 years ago before the bullpen became specialized and starters averaged over 7 innings a start. Thank God he’s not back with the Rangers. Is this a major league deal? I was wondering the same thing, is this even an upgrade over the guys we let go of this off-season already? Minneapolis is a very “diverse” city, and aside from Cron, it looks like the team is trying to match that diversity in their signings. What?! That’s borderline inappropriate and has nothing to do with anything. Let’s leave race out this. Shank-q! I would upvote you but you had to go and end it with “Shank-q”. Possibly the worst thing I’ve ever seen on the internet. What the hell are you talking about. Stupidest comment I’ve seen yet. 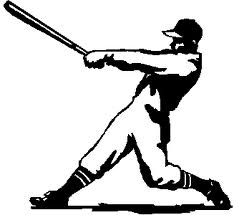 he’s going to get better moving from texas bandbox to twin city. Target field is one of the best parks in baseball for right handed power, it wont get that much better. Perez is supposed to be a groundball pitcher, so he can’t really blame the Ballpark in Arlington. He’s just not good at his job. As a Rangers fan, I won’t miss his 10.1 career H/9 or 1.5 career WHIP at all. The Timberwolves have been nicknamed the Timberbulls, now it seems the Twins could be The Twingers. it is gonna have to be really good for it to matter. better still get a closer. Disappointing and at best a yawn. Given his ability to get groundballs, he could be a solid lefty option in the pen. In terms of a closer, that title is becoming extinct outside of 10 guys. Blake Parker is not a bad option if the Twins go that route, but they would be better off adding Brach or Strickland than spending big money on Kimbrel. Agreed – but Falvey and Levine would have to be willing to commit something to 2020 on top of 2019 to get either of those two. This isn’t a bad sign and it fits the plan Levine set forth after the Cruz sign – a depth starter and another option for the final 9 outs. We’ll see who that final 9 option is, but I’m not holding my breath for an impact pitcher. I don’t think the Twin’s are funny anymore. So, … egg split in the womb, eh? This guy will drive you nuts if you watch him pitch on your team for multiple years. Texas fans know. Has the potential, and shows it in starts here and there, but never sustains it. There’s a flaw in his mechanics. Fix the flaw. Win the World Series. My gosh the hate is insane.. Hes free and obviously needed a change of scenery. Sure he might be dog crap but its worth a shot. You cant have too much sp depth. You can if they block playing time for young players thus causing issues with their development. I also think Korean of the frustration is the fact that the twins have all kinds of money to spend and a winnable division and this is the signing they decide to make. He’s free? It’s about roster space and management. The $3.5M is nothing, but the fact he’s being paid to take up a 25 man spot when he adds absolutely zero value where the Twins would be using a different AAAA / 5th starter arm in his place. You CAN have too much “emergency starter with no options on a MLB contract” depth. For someone with numbers like that wouldn’t you figure to give Romero, Gonsalves, Stewart or Littell a shot instead? If it’s for the bullpen maybe it makes sense because the Twins are short on lefties but I’m really not sure about this one. I think they have had a pretty solid offseason thus far and this signing doesn’t seem to fit the same pattern. No risk moves for Cron, Schoop, Parker are all welcome additions in my opinion but this is the first one where I don’t really get it. Hope he can contribute in some way, I certainly don’t want to knock a guy before seeing what a new team does for him. Being a twins fan has become increasingly frustrating. Stop dumpster diving. Dumpsters are an inexpensive source of cheese. Good to see you Phantom. Really miss the old chat boards…. but this site is nice, especially in the off-season. And of course you’re right, this signing was diving but maybe we’ll get lucky with one… eventually. Oh and as you might guess… am already hating the idea of no Mauer in the lineup come opening day. Why sign Pérez? Just when we are making progress with our new free agents, then they pull crap like Pérez. Yuk!!! in 2018, rangers ballpark was rated the worst for pitchers. twins’ 16th. there is real possibility of getting better results. Perez can’t miss bats and he’s eminently hittable. Without notable improvement in command, his stuff won’t play well in any ballpark. As a Twin’s fan, I just threw up a little in my mouth. Well, the good news is he’s the youngest pitcher out there. And the scouts have been enamored of him forever. The bad news? He basically stinks, and 3.5M seems heavy to me. “Numerous minor injuries”… is Tommy John considered a minor injury now? Are you sure they aren’t miner injuries, like coughing up blood? 3.5 dose seem a little steep, but it’s no hole in the wallet of the Twins. Not bad depth for the rotation, but I’m thinking they’re interested in him as a lefty pen specialist. If he ends up shutting down a couple lefties in the mid and late innings, that’s money well spent. And although not established closers, they have four options to end a ball game. A few decent short relievers are much more valuable than one lockdown closer in today’s game, and that’s what the Twins have. It’s not like we’re asking him to play a significant role in the rotation- more like 3.5 is a low-risk shot at solidifying what should be a fair bullpen. I guess we only have 7 back end rotation arms we could call on without Perez. Those guys are just kids yet, or otherwise not yet established. Perez at least has had major league success. But like I said (and I know another article came out that says otherwise) he’ll end up a ‘pen lefty of off the roster. He’s got upside for sure if he can resemble who he was a few years ago, but it’s been a while since then. I’m kinda shocked he was able to get a guaranteed deal. I haven’t really looked at his inning splits. But maybe they really are gonna deploy the opener strategy and he fills a 1-3, or 4-6 spot in that. I guess Pineda could be in that mix if they don’t think his arm is there. The “opener” concept is not only flawed, but it’s the worst thing to come to baseball in decades. Maybe ever. Actually it’s a pretty good idea and could work really well over the course of a full season. One pitcher gets the top 3 hitters (until adjustments are made, these are the typically the best hitters in the lineup – guys the team wants to have that extra AB) and then the starter, in theory, has the opportunity to get 4-9 a third time before 1-3? BRILLIANT. Brilliant – – – until clubs starting turning the lineups upside down and have their 6 thru 9 batters batting 1-2-3-4 to combat opener formula. Lately, the most interesting thing about the Twins is trying to guess who’ll they cut to make a space on their 40-man roster. When he’s on he’s on, it’s an interesting, inexpensive reclaimation project. Best of Luck! Twins according to mlb.com might be a dark horse candidate for machado. Yes for either Machado or Harper. But everyone knows Machado is infinitely better defensively at 3rd than shortstop…. and Sano is already there. Sano can DH or play first base, but the signings this off-season have already filled those spots. Sano has this year to prove he’s worthy of a roster spot and you’re trying to build a team around him still? The guy is a non-tender candidate if he plays like the he has since the 2017 ASG. Twins have needed a frontline starter for many years. This signing does nothing. We don’t need a “chance in hell ” type starter. We need someone to take the ball 30 times a year and shove it down the oppenents throats. How many #5 starters or “possibly” #5 starters are we gonna employ ?? May as well of just tried one of the kids in AAA. NO #1 starter and no closer. Ugh. I really do see this as the 5th starter who is a veteran. Meija will be the 2nd lefty in the BP behind Rogers. The last 6 outs will be left to May, Reed and Parker. Hildenberg and Magill will round out the BP. Gonsalves, Litell, Stewart and Romero will continue to work on bettering themselves in AAA. Once Perez has exhausted his “usefulness” as the 5th starter, Twins will either trade him or plain old release him. And give the 5th spot to Stewart, as they try to make him look good for a trade as well. So… who was cut off the 40-man to make room? Is it just me or has this offseason made a three-year contract seem like a generous offer? A 1yr/3.5M contract seems generous in this scenario. Martin Perez is taking a $2.5 million pay cut over last season, and is only 27 years old. Chase De Jong, who Perez is replacing on the 40-man roster is already 25, and has shown less. Perez and Mejia will compete for the 5th spot, or possible the 4th and 5th spots if Michael Pineda does not come off his injury well. It’s just a 1 season $3.5 million contract, and the Twins need depth in the rotation. Perez joins Pineda, Gibson and Odorizzi as FAs in 2020. I’m hoping De Jong does clear waivers, and develops at AAA in 2019 into something useful in 2020. Not a bad signing. Go Twins! Whoa 7.5 million dollar 2nd year option??? Chances he sees that? Since the Twins only do 1 year contracts these days, they’ll probably pick it up to pretend they’re spending money. So this is a win next year move.. It will be interesting to see if he likes the left side of the infield now that good old Joe isn’t there to bail out those multitude of throws .. Cron better get a crash course and pass with flying colors or it will be a long season for the ground ball pitchers..